Airbnb offers flexibility and comfort but lacks the security, services and quality assurance provided by a hotel. After conceiving his concept in 2014 for a ‘hometel’ which gives guests a place to live rather than simply stay, Robert Godwin brought the idea to life by opening his first Room2 in Hammersmith in 2017. 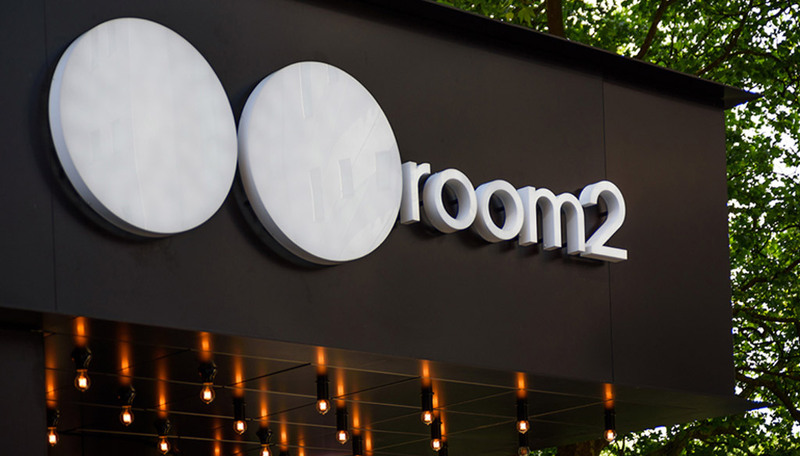 This month sees the launch of Room2 Southampton. Home isn’t a building, it’s a feeling. Its a set of rules you and your family create and live by. And it’s different for everyone. That’s why we created room2; to give people a place to live, not just stay for the night. Project Orange is an Architecture and Interior Design Studio which excels in projects that seek a seamless marriage of architecture and interior design. For Room 2 Southampton their challenge was to develop the existing Room2 concept and bedroom design to suit the former office building dating from the 1990’s. 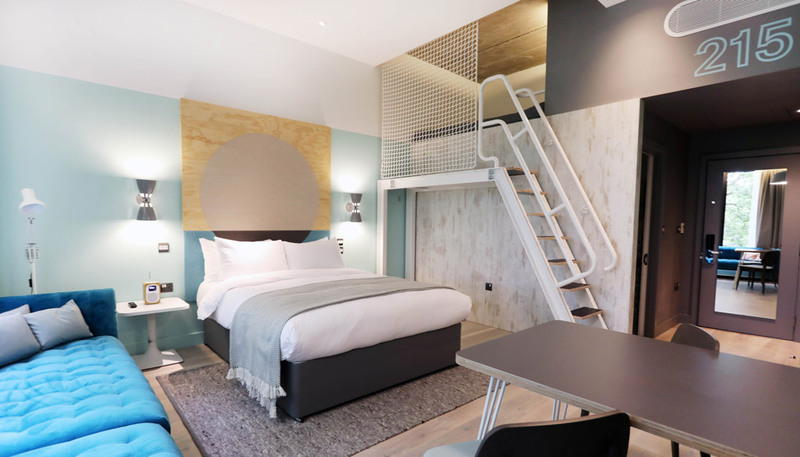 Project Orange took advantage of the large floor to ceiling heights by creating a mezzanine deck which offers flexible guest accommodation. The deck and interior features are not dissimilar to those found on board traditional cruise liners, a nod towards the importance of Southampton in cross-Atlantic travel. The public areas also draw on this theme, creating a flexible ground floor, offering space to work, to meet and to relax. 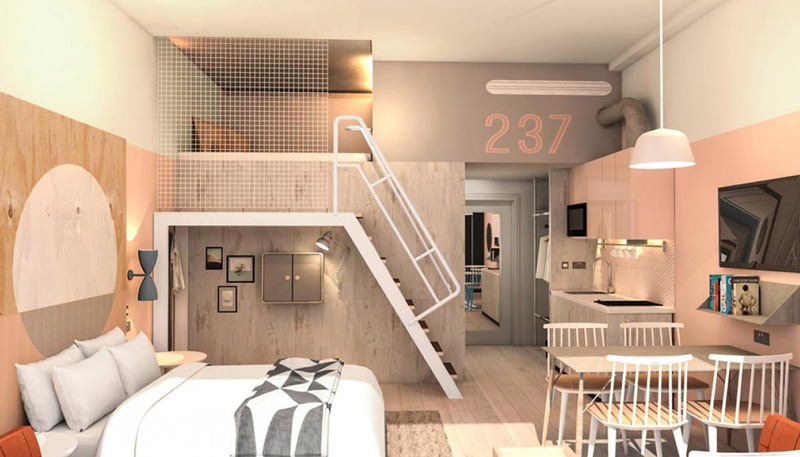 Room2 afforded Project Orange even greater design opportunity as their rooms are 30% bigger than the average hotel room for the same price. More space means more living. 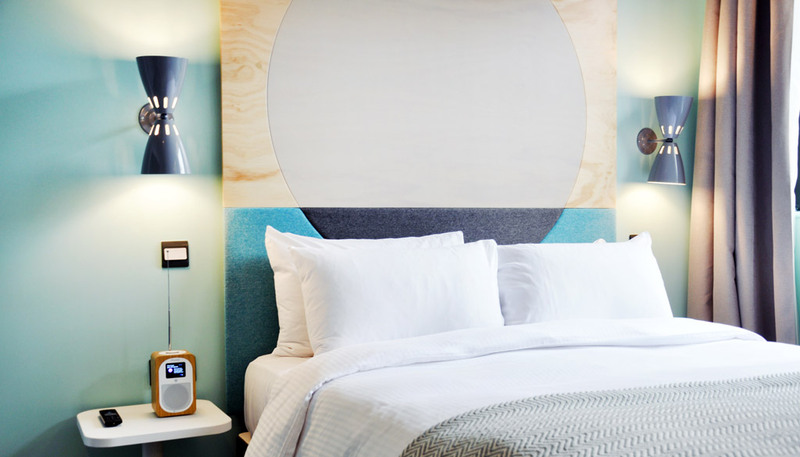 Guests entering a Room2 room cannot help but notice the unique circular headboard design which perfectly illustrates the interior scheme’s nautical reference. 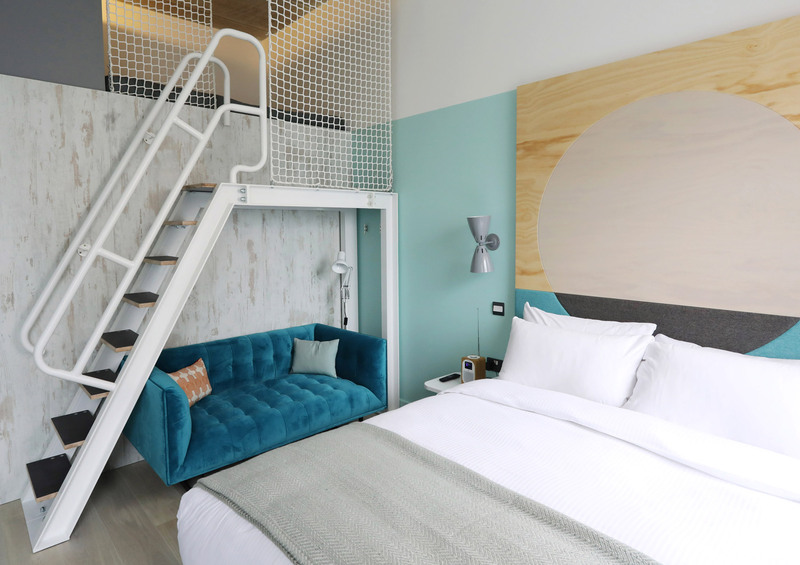 Nova Interiors was briefed by Project Orange to create the feature headboard. Each feature headboard comprises of an upper plywood section which has a duel tone finish, a clear lacquer and a white wash paint finish. The lower section of the headboard shows Nova’s attention to detail and seamlessly continues the circular line through the upholstery which uses two colourways of Vescom’s Balta collection. Nova provided an essential element of our overall room design and we were very pleased with the craftmanship, attention to detail and final execution. Throughout the process Nova were a pleasure to work with and very flexible during a tight installation programme. 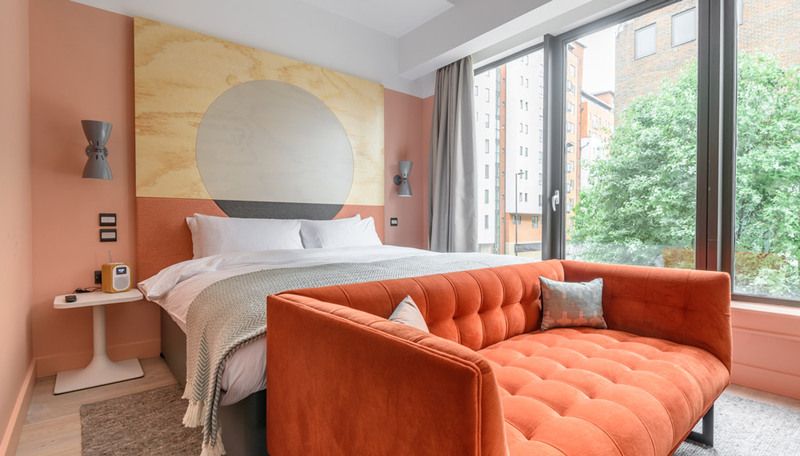 Project Orange were able to utilise Nova’s bespoke service to realise their design and in total, Nova supplied over 70 headboards to Room2 Southampton, each creating a focal point to the interior scheme.